Our travel agency informed us about the Pack for a Purpose project. We found a school project on our trip through Rajasthan, India. 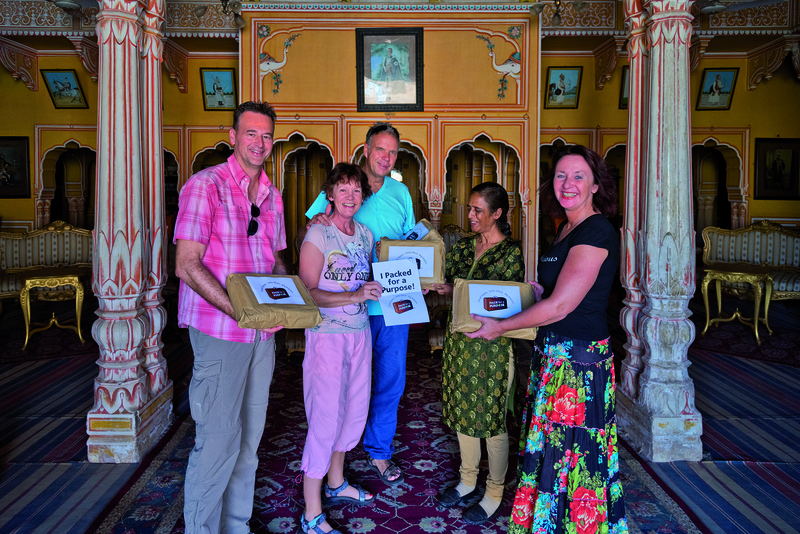 I contacted Pack for a Purpose’s founder, Rebecca Rothney, and she connected me with Sunayana, who is the contact person for Dundlod Fort. They support the Indo International School in Dundlod, which serves 550 students. Unfortunately, we were there on a Sunday, so the school was closed, but we met Sunayana. She told us about the project and the good results it has achieved. We handed her our packages with school supplies.